The Dovetail Plate from Lanparte is a dovetail plate with a dovetail connector that you can slide your base plate and rig onto. The dovetail plate can mount onto any tripod via its standard 1/4" and 3/8" screw holes. A quick release trigger allows you to remove the camera rig from the tripod quickly and easily, and a limit screw prevents the camera from sliding out. 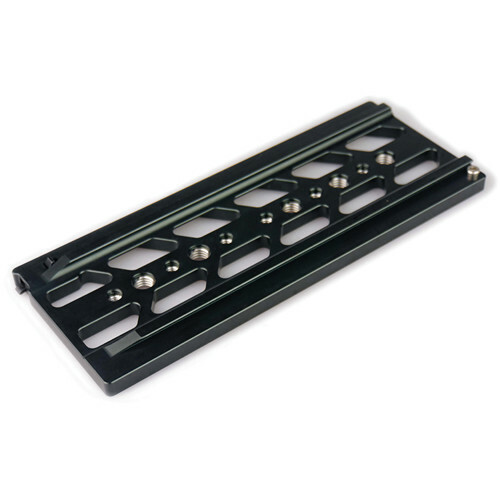 The dovetail plate is compatible with 15mm film industry standard rod systems. Box Dimensions (LxWxH) 9.1 x 3.8 x 0.8"
Dovetail Plate is rated 5.0 out of 5 by 1. It is arri standart dovetail? Yes, this is compatible with the industry standard Arriflex baseplates and dovetails.